Take the hitch out of everyone’s giddy up when you give them Guitar and Banjo Drink Tickets at your next live show. 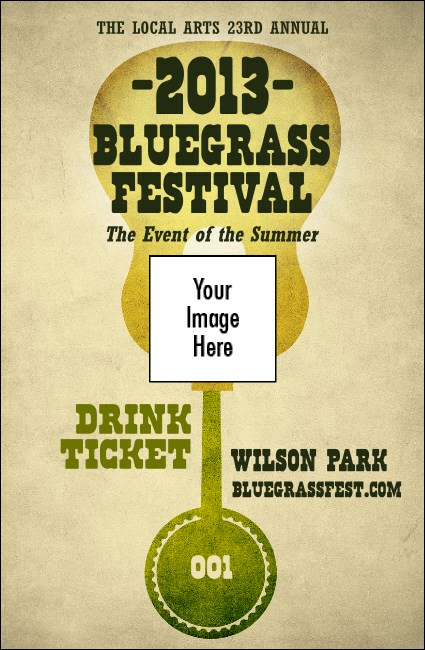 With a creative design that features a combination guitar and banjo on a classic off-white background, along with room on the template to upload your own unique image, these tickets will give your event the right kind of twang. TicketPrinting.com helps your event resonate.